Bangalore, February 22, 2017: Gangaa (Aditi Sharma) recently entered into a new phase of life and slowly adapted herself in Shiv’s house having lost all trace of her past. She has forgotten everyone and everything that was the center of her small world – Babu, Sagar, Krishna, her bappa and her home. However, in an uncanny incident Gangaa will come face to face with someone from her past. Will Gangaa come to terms with reality? Find out in the Mahasangam episode of Gangaa and Santoshi Maa this Friday on Maha Shivratri 8:30pm – 9:30pm pm only on &TV. 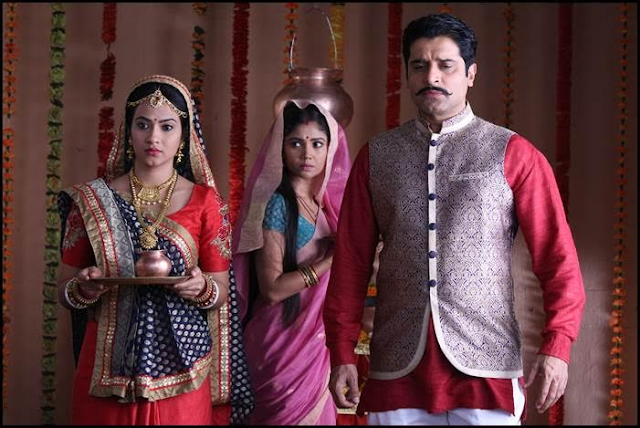 Santoshi (Ratan Rajput) will be seen coming across Gangaa while she is on the lookout for her husband Dhairya. It so happens is that Santoshi sees Gangaa in a temple but she finds Gangaa to be a little different than what she used to be. When she steps forward to greet Gangaa, she finds out that Gangaa doesn’t remember her at all and in turn introduces Shiv (Shakti Anand) as her husband.